IN the bushes of Gorongoza, Cde Chihuri had created and perfected not a hit-and-run troop, but a demolition team. Lack of accuracy in shooting and low levels of fitness that manifested in poor speed during running exercises, done carrying weapons, saw 50 men being dropped. The choice of the training ground and the decision by Cde Chihuri that the fighters remain in the bush after retraining and not go back to Chimoio as he went for reconnaissance saved them. The team could have perished before the Grand Reef attack. While the reconnaissance team was at the border on its way back from Grand Reef Rhodesian bomber planes flew to Chimoio, some of them probably from Grand Reef and emptied a deadly cargo of bombs that left thousands dead and maimed. “The whole team could have perished in that bombing, the sight that greeted us in Chimoio was not a clip, but a full-length horror film,” said Cde Chihuri. Nine men left for the reconnaissance mission. Stealth perfected during the hunts was the backbone of the nine-man team. “We were ferried, from Chimoio, to Chikamba Dam which was near the border. 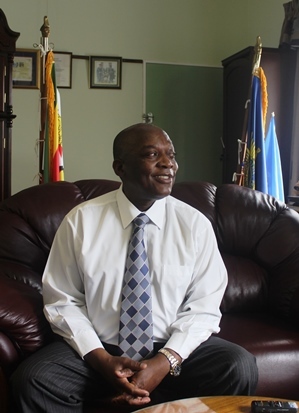 We had lunch at some eating house and at 3 began the journey into Zimbabwe,” said Cde Chihuri. “And one thing that delighted me the most on crossing the border was my setting foot on home soil. The team entered the country through Chipinge. “We crossed the border and got to Tamandai Village, did not stop, but kept marching until we reached Mambwere Village at midnight, where we slept after having sadza served with chicken that was slaughtered for us in the dead of the night,” said Cde Chihuri. The reconnaissance, he said, was to determine the layout of the base, distance and the terrain to be travelled. Only Cde Paradzai Zimondi, now Commissioner General of Prisons and Correctional Services, the Provincial Commander of Manica Sector and now Central Intelligence Organisation Deputy Director General, Aaron Nhepera knew of the presence of the fighters and their mission. “We determined where to camp, areas to steer away from, points where we would rest and eat,” Cde Chihuri said. He described one Cde Kwachara, brother to prominent businessman Jonathan Kadzura, as one of key persons in the Grand Reef attack. “Kwachara was important in that he knew Grand Reef, as it was in his home area, so was Cde Shakespeare from Birchenough and Game Kufanenzara who came from Chipinge, a composed dark gentleman who was good with the mortar 82 and 60,” he said. From Gandayi they got into Dora-Pinto, where the headman directed them to an old man that worked at Grand Reef. “We ordered the man to go and make a sketch of all the buildings in the base labelling them accordingly,” said Cde Chihuri. “Takamuti ndikangoona ndavhiringwa nevarungu vanobva paGrand Reef apa ndiwe and we will take very tough measures. “But we needed not worry for the old man was excited about his ‘mission’. “He came back, briefed us and had drawn a rough map of the base. The group in an hour-and-a-half’s time, from the fence, had mapped the Grand Reef producing an accurate layout. “The old man’s map was spot on, but this time we produced a layout that had distances,” Cde Chihuri said. “We were very keen on the distances for these would render our ammo effective or ineffective. The spotter plane and ground patrols did not detect them and the group remained in their positions until 7, making further observations regarding movement of vehicles at the base. “We then backtracked gauging the distance we had to cover in a day, we identified points where we would eat, mountains that had a good cover, and areas with trustworthy villagers,” said Cde Chihuri. On arrival in Mozambique, Cde Chihuri had another three days of training. “This time around I knew the set-up of the target and our training was more specific, I made changes to the strategy based on the information we had gathered,” he said. “On completion, the fighters were kitted in new jeans and we were driven to some farm that served as our armoury. The group of 250 fighters got on its way and in three days reached the target. “On arrival we ordered the old man who helped us during reconnaissance to take some off days,” said Cde Chihuri. “The old man tipped us that there was a big party that had high ranking officials from Mutare who were celebrating the ‘success’ of the Chimoio attack. “He informed us that after every three hours, a spotter plane would take off to scan the area and at 5.30, it carried out the last reconnaissance. “Soon after the last reconnaissance, we deployed around the base. “And we could hear a party in full swing. “When the first shot was fired all hell broke loose, there was pandemonium caused by our Recoilless Rifles and the bazookas and the light as well as heavy machine guns. “The attempt to return fire was feeble especially considering our fire power. “There was crying and screaming and then an eerie silence. Cde Chihuri said there was no meaningful return of fire and his troops only retreated when they had emptied all their guns. The attack, he said, went according to script with not a glitch. “Handisati ndamboona zvakadaro, matracer bullets aiita kunge zvitayi tayi kuzara the whole place,” Cde Chihuri said. “Mabara aiita kunge chain yemoto, kuita kunge tambo as the bullets were leaving mabarrels, uchinyatsoona kuti panaapa zvinhu zvirikurohwa. “Recoilless Rifle raiita kunge zimoto, taive nemabhazooka aiita kunge mazimoto arikuenda uchiona achinoti pamatarget buu. “After some time, the whole place yakaita light up, kwete nemalights, but nemabullets. “We would also see paidonha mamortar bombs aya aya, paiita kakupenya kunge mheni kana nyeredzi dzirikudonha. On departure, they destroyed electricity pylons resulting in the whole of Mutare plunging into darkness. The following day as they surrendered weapons they had used and the fighters to Cde Zimondi, they would hear bombs going off. The bombs had been laid in the road from Mutare that led to Grand Reef. “For days they would not come to rescue their own, they were not sure of the reception they would get only knowing that it was not good at all,” said Cde Chihuri. “The attack was a devastating blow that shook Rhodesians to the core. “It took us seven days to get to Mozambique and the area was literally ours, in the past teams would have been sent on revenge missions, but the only activity happening was evacuation. “Farmers were leaving their farms and whites in Mutare were going to the then Salisbury, they felt very unsafe. Soon afterwards, Rhodesians called for talks at the Lancaster House in London.